Check that you have the latest software on your iOS device and Apple TV. Make sure that you're streaming content from your iOS device to a television connected to an Apple TV, or to an AirPlay-enabled speaker or receiver. You can't use AirPlay to stream content from your iOS device to another iOS device or to a Mac. On your iOS device, swipe up from the bottom of your screen (or top right-hand corner on an iPhone X and newer) to bring up Control Center. Deep press (if you have a 3D Touch enabled iPhone) or press and hold on the Media control panel. Now tap on the AirPlay button on the top right-hand corner. All your AirPlay devices will be listed here, select your Apple TV. Tap on iPhone or iPad to disable AirPlay completely. When you choose an AirPlay device, videos on the Viki app will play on your Apple TV. Note: We recommend turning off the 'Screen Mirroring' feature for a better viewing experience on Viki app version 4.10.1. On your iOS device, swipe up from the bottom of your screen (or top right-hand corner on an iPhone X) to bring up Control Center. 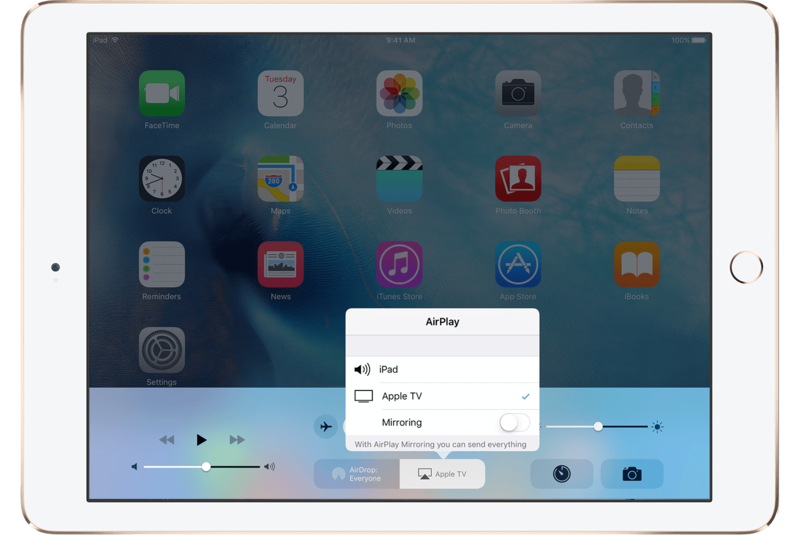 Tap on iPhone or iPad to disable AirPlay completely. The best way to ensure that Airplay always has subtitles when playing is to go to Settings > General > Accessibility and turn on Closed Captions and SDH. AirPlay with mirroring displays the subtitles as seen on your phone. If you would like to adjust your subtitle settings, please refer to this FAQ that teaches you how to do so. To adjust subtitles on AirPlay without mirroring, please do so on the settings of your Apple TV itself. For more information, please refer to this FAQ. Why don't I see AirPlay in Control Center? On your iOS device, go to Settings > Wi-Fi and check that you're on the same Wi-Fi network as your Apple TV. Go to Settings > Network and check that you're on the same Wi-Fi network as your iOS device. Go to Settings > General > Network. If your Apple TV uses an Ethernet connection, check that the cable is plugged into the router that you're using for Wi-Fi. On your Apple TV, make sure that AirPlay is turned-on in Settings > AirPlay. If you’re using an iPad on iOS 9 or earlier, scroll up and down in the device list to see all of the available devices. To stream Viki app content, your Apple TV needs an Internet connection. Check your connection and try again. Please make sure you set the mirroring option to OFF, as our app works better without this option. Make sure that the volume is up (not muted) on your iOS device and your television or receiver. If you're using an iPhone or iPad, check the Ring/Silent switch. If it's set to silent, you'll see an orange line. Toggle the switch to turn on the ringer. Make sure that you're using the recommended settings for your Wi-Fi router. If possible, connect your Apple TV directly to your router with an Ethernet cable instead of using Wi-Fi.